Bereavement, and grief or mourning, is a natural way to adjust to loss. 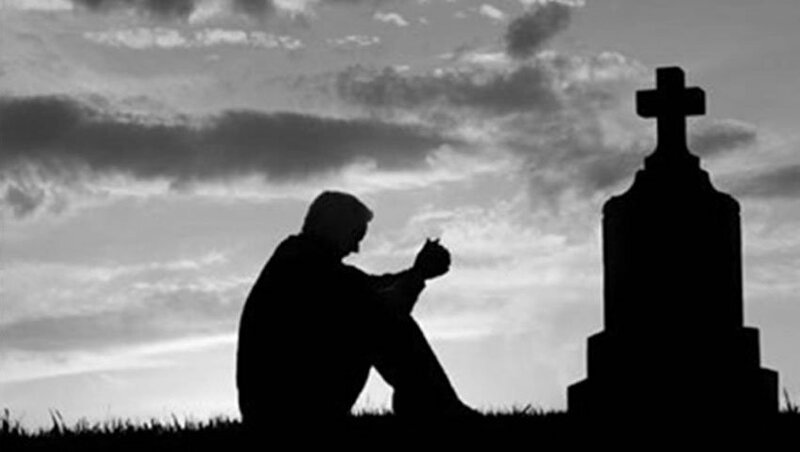 Bereavement usually refers to the loss of someone of meaning in your life by their death. However, in broader terms, it has also come to mean the loss of other meaningful things in one's life. This could be the loss of a partner through divorce or a difficult breakup, the loss of your health due to a chronic disease or condition or even the knowledge of the loss of good health of a partner or loved one. Bereavement, grief or mourning are all natural ways to adjust to loss. Everyone goes through the mourning period in a different way, at their own pace, and expressing their grief in their own way. There is no right or wrong way to grieve the loss of a loved one or something of great importance, but the ways of coping with the grief can be healthy or unhealthy. It is important, for your own mental and physical well-being, to get help if the way you are coping with the loss is harmful to you either mentally or physically. Bereavement and grief can be relatively short in duration or it can last a lifetime. People can use their loss to do wonderful things for others, to find a purpose or a cause for their own lives, and to honour and memorialize their loved ones through their actions. There are also people who refuse to accept the grief, try to hide it away deep down inside, or those who turn to alcohol or drugs as a way to cope. While crying, sadness, loneliness and anger are all normal responses to loss, if they become constant behaviours and emotional states they will create a negative effect on our lives. This can include the loss of current relationships, the inability to form new relationships and the very real possibility of developing depression. In some situations a death may be expected, while in other situations it may be completely unexpected. For example, an adult with a chronic health condition may be able to spend time with their family and help to prepare the family for his or her death. The family could spend time together, say their goodbyes and also share the messages they want their loved ones to hear. On the other hand, the unexpected death of child, a miscarriage, the sudden death of a loved one in an accident or because of a health condition can leave a huge void in the family without any type of cushion of having that time to mentally prepare. Neither type of death is easy for the survivors. When death occurs suddenly and without any time for mental preparation the bereavement time is often longer. The family may experience more intense denial, anger and confusion, stages that the family of a chronically ill person will already have addressed. Talking to family and friends and seeking counselling is very helpful in understanding bereavement and learning to move forward. Find a professional that you feel comfortable with and talk. You will, in your own time and with support, find comfort and the ability to enjoy life again.